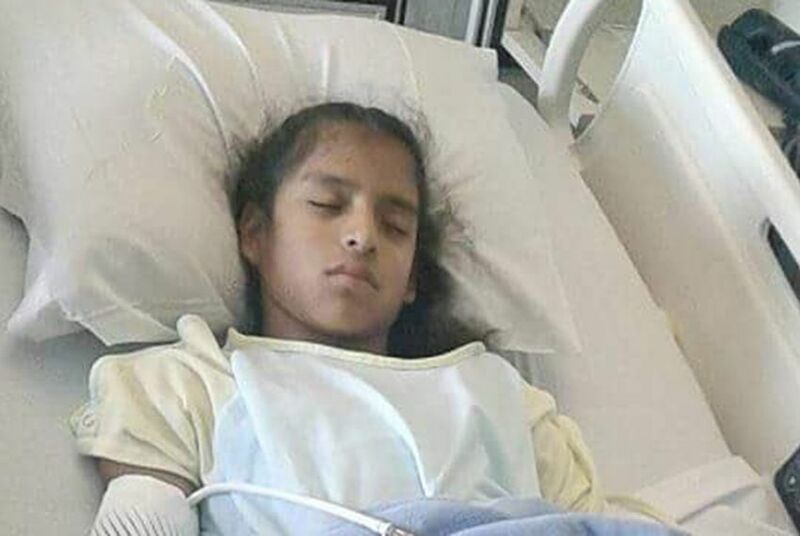 An undocumented 10-year-old girl who was placed in an immigration facility last week following surgery in Texas will be reunited with her family, a lawmaker’s office confirmed Friday. An undocumented 10-year-old girl who was placed in an immigration facility following surgery in Texas last week is set to be reunited with her family, a lawmaker’s office confirmed Friday. Rosa Maria Hernandez, who has cerebral palsy and was detained by immigration officials after having gallbladder surgery, has lived in Texas since she was 3 months old. But she was thrust into federal custody – and the national spotlight – after she and her family were traveling from Laredo last week when they passed through a U.S. Border Patrol checkpoint. Agents escorted Rosa Maria to a Corpus Christi hospital after she and her cousin, a U.S. citizen, traveled through a checkpoint in Freer. The agents then waited until after Rosa Maria's gallbladder surgery and told her family she could return to Mexico voluntarily or go through court proceedings. Among the lawmakers calling for her release was U.S. Rep. Joaquin Castro, D-San Antonio. “Finally, Rosa Maria has been released to her family where she belongs,” Castro said in a statement. “This young girl and her loved ones have been through a traumatizing ordeal. I wish them the best, and hope Rosa Maria’s health improves." But Castro added Hernandez’s supporters should know there’s an unknown road ahead for the child. “While this is welcome news, Rosa Maria’s future remains uncertain. The Trump Administration has not made clear whether they will proceed with deportation proceedings against her,” he said. A spokesperson for the U.S. Department of Health and Human Services’ Administration for Children and Families, which contracts with the immigrant shelters, was not immediately available for comment. Rosa Maria's case made national headlines after activists and lawmakers said they were appalled at the news, calling it proof that the Trump administration wasn’t necessarily prioritizing its immigration enforcement enforcements on “bad hombres” intent on committing crimes. The American Civil Liberties Union had filed a lawsuit this week calling for Rosa Maria’s release. "Rosa Maria should not have been detained for even a second. She was ripped from her family without authority by the federal government. We will continue to challenge the government to stop this kind of heartless and unlawful conduct,” said Andre Segura, legal director of the ACLU of Texas.